A US negotiator arrived in Seoul on Sunday (February 3) for meetings with North and South Koreans ahead of a much-anticipated second summit between President Donald Trump and the North’s Kim Jong Un slated for later this month. The agenda of the summit, as well as its location and date, are expected to be settled during the talks between Washington and Pyongyang, according to the South’s Yonhap news agency. The US special representative on North Korea, Stephen Biegun, who is seeking negotiations with Pyongyang on verifying its willingness on denuclearisation, did not speak to media as he arrived in Seoul Sunday evening. 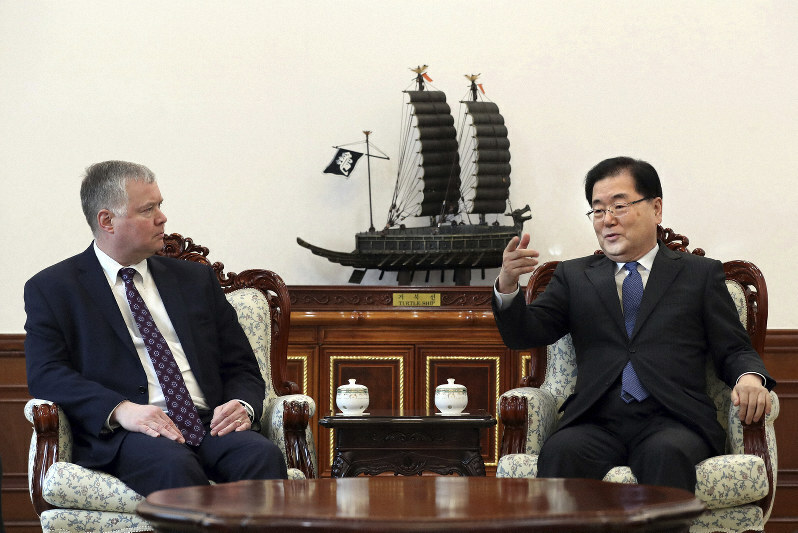 He met with his South Korean counterpart Lee Do-hoon and discussed “pending issues including working-level talks with North Korea”, Seoul’s foreign ministry said. Yonhap reported that he will meet with the South’s national security advisor Chung Eui-yong on Monday before heading to the truce village of Panmunjom the following day for talks with the North Koreans. “Biegun is expected to share the details of the working-level meeting on the US-North Korea summit and coordinate stances between Seoul and Washington,” Yonhap cited a senior presidential official as saying. Trump has said he would announce the location and date of the second summit early this week. His high-profile meet with Kim in Singapore in June was the first ever meeting between a sitting US president and a North Korean leader. They signed a vaguely worded document in which Kim pledged to work towards “the denuclearisation of the Korean peninsula”.